Galvanized metal roof provides an extra measure of protection from the weather. Ah, blue skies, warm sun, and all is right with the world: Who needs to leave home for the serenity that comes with a relaxing Sunday drive in the country? 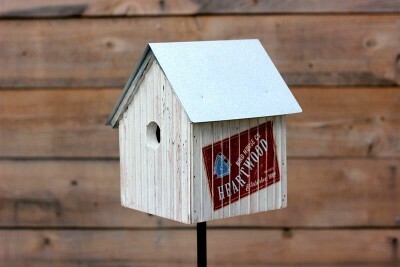 You and your birds can enjoy such peaceful bliss every day with Heartwood’s Signature Backroad Birdhouse. Irresistibly nostalgic design is paired with superb craftsmanship for a truly timeless creation. Just sit back and take in the view as your birds hop in happily. Place the house to a flat, vertical surface using its attached hanger, or place a mounting plate (not included) on the base for displaying on a pole.